The beauty of Lake Koman and Valbona Valley of the Northern Albania has attracted a lot of tourists last years. This time a Portuguese travel blogger has visited the Koman Lake and Valbona Valley. "The boat trip to Lake Koman is one of the most amazing things you couldn’t miss in Albania, as it is one of the ten most beautiful boat trips in the world", he says. 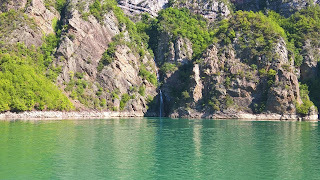 After experience with the boat ride along the magnificent Koman Lake they headed to Valbona Valley where they spent the night in a guesthouse. 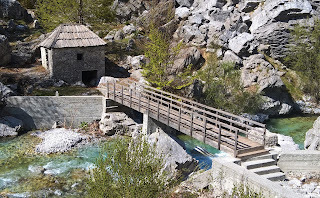 After having a nice sleep in the guesthouse, the next morning they visited the landscapes of Albanian Alps and the river Valbona, a tour that gave them the feeling of being in paradise.